The latest and most effective weight-loss solutions close to home. Marshall Medical offers a number of proven weight loss solutions, including the non-surgical ORBERA gastric balloon system. 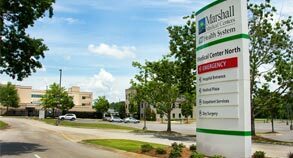 Marshall Medical is one of the few hospital systems in the Southeastern United States offering the ORBERA Gastric Balloon System, a proven non-surgical, minimally-invasive weight-loss system. For more information on this ground-breaking procedure available at both Marshall North and South, call Surgical Associates of Marshall County at 256.840.5547 or 256.571.8734 (256.753.8734 for Arab area residents). ORBERA is a two-part weight loss system that starts with placing a soft gastric balloon in your stomach to encourage portion control, followed by a one-year coaching program to help you keep the weight off. Designed to help you develop long-term healthy habits, the gastric balloon is in place for the first six months of the program. Simultaneously, you’ll also begin your customized coaching for the six months the balloon is in plus another six months after. ORBERA is a non-surgical weight loss procedure, which means no incisions, stitches or scars. It takes just 20-30 minutes and most people go home the same day. And, importantly, the balloon is in place only temporarily, as opposed to permanent surgical alterations. 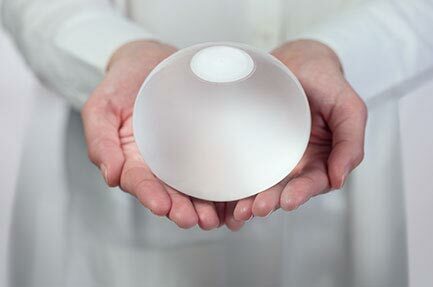 The ORBERA Gastric Balloon System is a weight-loss system that uses a gastric balloon that occupies space in the stomach. The balloon is placed into the stomach through the mouth, using a minimally invasive endoscopic procedure, while the patient is under mild sedation. Once in place, the balloon is filled with salt water (saline) so that it expands into a spherical shape. The balloon can be filled with different amounts of saline (from 400 to 700 cc) to best match the patient’s body structure. The device is used in obese adult patients who have a body mass index (BMI) of 30-40 who have been unable to lose weight through diet and exercise. It is intended to be used while a patient participates in a diet and exercise plan supervised by a health care provider. Lap-Band is a type of gastric banding bariatric surgery to consider if you are obese and suffering from obesity-related medical complications. During Lap-Band surgery, a silicone belt is placed around the upper portion of your stomach. A saline solution is later injected into the silicone belt, causing the ring to expand and tighten around the stomach to form a small pouch. This pouch, which will now function as the stomach, is about the size of a golf ball and holds about four ounces of food. How does Lap-Band Surgery help you lose weight? Lap-Band surgery produces rapid weight loss because it drastically reduces how much food you can eat at once. Your stomach is only able to hold four ounces of food and you will be able to feel full after consuming far fewer calories. After having the Lap-Band surgery, you’ll be instructed on the proper eating habits that will make meals most comfortable and result in the greatest weight loss. Gastric bypass surgery is both a restrictive and a malabsorptive weight loss surgery, which means that it will restrict how much food you can eat at once and reduce the number of calories your body absorbs. It is a popular treatment option for obese people that can result in fast weight loss and long-term results. During gastric bypass surgery, a portion of the stomach is stapled in order to reduce how much food can be consumed and is necessary to make you feel full. In addition, a Y-shaped part of the small intestine is attached directly to the new stomach pouch, causing food to bypass the duodenum, the first section of the small intestine. This rerouting of part of the small intestine reduces the amount of food nutrients that are absorbed by the body. By eating less and absorbing fewer calories, you should experience a significant weight loss after having gastric bypass surgery. In most cases, gastric bypass is performed laparoscopically, using several small incisions and a laparoscopic tool as a visual guide. In general, a laparoscopic weight loss surgery results in less scarring and recovery time and two to three days of recovery time. During gastric sleeve surgery, the outer curved portion of the stomach is removed and the remaining portion is stapled shut to create a tube (or sleeve) shape. This weight loss surgery is usually performed laparoscopically through several small incisions using tiny instruments and a laparoscope for visual guidance. A gastric sleeve surgery often results in rapid weight loss, with patients losing as much as 80% of their excess body fat within the first year after surgery. In some cases, a sleeve gastrectomy is combined with a gastric bypass surgery procedure in order to increase the weight loss results. Like other bariatric surgery patients, gastric sleeve patients will need to commit to long-term lifestyle changes. This is especially important to consider because sleeve gastrectomies are irreversible. Lifestyle changes include getting plenty of exercise, eating slowly, chewing thoroughly, and avoiding beverages during your meals. Is Sleeve Gastrectomy right for you? You may be a good candidate for weight loss surgery if you are looking to lose a significant amount of weight, usually about 80 pounds for women and 100 pounds for men. You should also have tried to lose weight through diet and exercise in the past. Many weight loss surgery patients also have obesity related health problems, including diabetes, high blood pressure, or sleep apnea. Once you’ve determined that you’re interested in bariatric surgery, you’ll need to determine whether a sleeve gastrectomy is the best option. A gastric sleeve surgery procedure will not require the use of foreign materials placed inside your body or a bypass of your small intestine. This weight loss surgery rarely causes absorption issues as a result.